A water-resistant Oyster case, large hour markers and bold hands are essential elements of Rolex’s Submariner, introduced in 1953 and made for use underwater. In contrast, Rolex’s Yacht-Master, launched in 1992, is a luxury liner – equally at home on board a yacht on the high seas or on land at a ritzy yacht club. But to enjoy this luxury you’ll need to pay almost $25,000 for the 40-mm Everose gold and Cerachrom ceramic version shown here. Stainless-steel versions of the Yacht-Master are priced about $13,000 less. The Yacht-Master was the first watch in Rolex’s Professional Oyster Collection to come in three different case sizes: 29, 35 and 40 mm.The watch is powered by a seasoned caliber, the Rolex 3135, used in the very first Yacht-Master in 1992. The 3135 debuted in 1988 in the Submariner. The blue Parachrom balance spring was added to the movement in 2005, five years after it was first introduced in the Cosmograph Daytona. Its paramagnetic alloy resists changes caused by temperature variations and magnetic fields. The well-known Cyclops date lens was patented by Rolex in 1953 and introduced in 1954 on the Datejust. This magnifying device is made of sapphire, like the watch’s crystal, and has nonreflective coating on both sides. The jumping date advances exactly at midnight. The dial has a characteristic Rolex look. 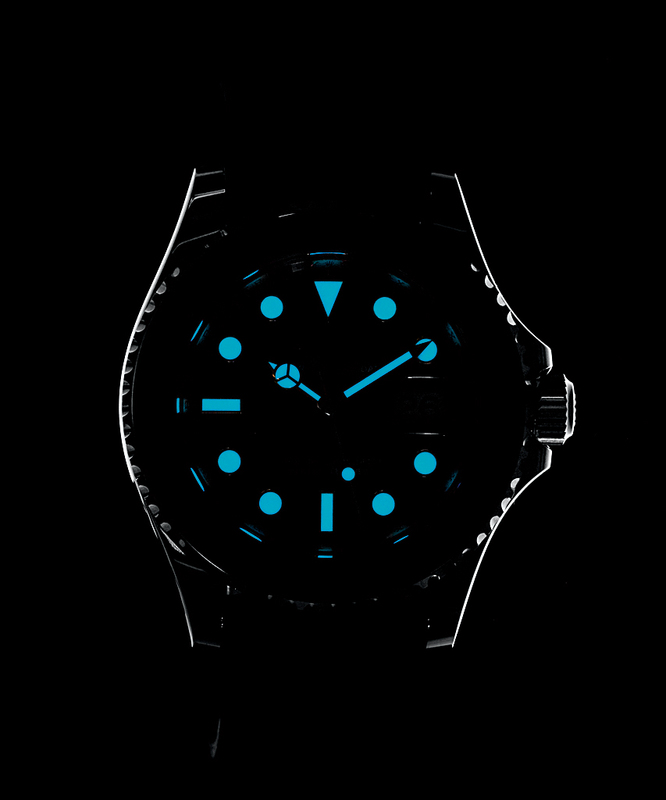 The applied markers and elongated triangle at 12 o’clock are filled with Rolex’s luminous substance, Chromalight, and are displayed on a matte black background. The hour hand has a “Mercedes” circle filled with Chromalight and the seconds hand has a luminous Chromalight dot. The stark contrast of black and white ensures excellent legibility during the day; at night the Chromalight emits a blue glow for easy reading in the dark. The Yacht-Master’s dial is easy to read day and night thanks to a strong black-and-white contrast and blue Chromalight luminescence.